FOUR men have been arrested after a teenage boy was stabbed in Leigh Park this afternoon. Police officers were called to Woolston Road at 3.15pm, after a 15-year-old boy was stabbed in the arm. According to Hampshire Constabulary, the teenager’s injuries are serious, but not life-threatening. He has been taken to Queen Alexandra Hospital in Cosham for treatment. Nearby residents have said they are not surprised that something like this has happened in the area – but the incident has still put a few of them on edge. Julie Wright, 51, said: ‘I’d heard that the person stabbed was quite young – it’s sad that something like that has happened. ‘It does make you feel really uncomfortable. I just want to keep my kids safe, you never know what is going to happen. Clare Symmons, 50, said: ‘I heard about what happened on social media. Mark Trevellick, 52, added: ‘I came home earlier this evening and a neighbour told me that somebody had been stabbed. ‘It’s worrying that something like this has happened right outside my door, but I can’t say I’m surprised that something like this has happened. Another resident, who wished to remain anonymous, said: ‘I’m not too surprised by this – it seems to happen all the time around here. 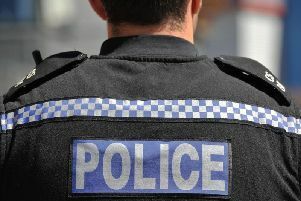 In a statement, police confirmed that four men from Havant, two aged 18, one 19 and another 17, have been arrested in connection with the incident. A spokesman for Hampshire Constabulary said: ‘A police cordon has been put up in a section of Warren Park as our investigations continue. ‘We can also confirm that a weapon has been recovered. Anyone with information about the incident is asked to call 101, quoting the crime reference number 44190091201.